Over the course of working with so many individuals and families, I’ve found that many people think financial planning, investing, and retirement planning are a sprint to the finish line. While on paper, maxing out your 401(k) each year and building an all-stock portfolio for maximum growth potential seems like a good plan, fast and big investing can actually slow down your progress to your goals. Let’s look at why. I always enjoy working with enthusiastic young couples who want to do everything in their power to reach their desired retirement. However, in the process of focusing on their long-term retirement goals, they neglect their short-term needs. While maxing out your 401(k) each year may help you reach your retirement goal faster, if you don’t have the income in the short run, you may not have the money available for short-term needs and emergencies, such as a new laundry machine when your old one breaks down, or a family vacation. And if you have to take from your 401(k) before age 59 ½, you’ll likely incur a 10% early withdrawal penalty, which can set you back in your progress. For many of my clients in their 20s and 30s, I may recommend contributing enough to their 401(k) to get the employer match, if one is offered, and contribute some of their paycheck to build an emergency fund and savings. This can help them avoid focusing so much on their long-term retirement goals that they neglect their short-term goals, from buying a house to paying off student loan debt. I generally recommend that my clients build a reserve fund that can cover three to six months’ worth of living expenses. I said it earlier but I’ll say it again; investing and financial planning is a marathon, not a sprint. I’d much rather be the tortoise—slow yet steady and consistent—than the hare—fast yet unpredictable—when it comes to my investing strategy. One of the more underrated strategies is making consistent and periodic contributions to your portfolio over a long period of time. As I mentioned earlier, younger individuals and families may not have the income yet to max out their 401(k), but they can make consistent contributions and increase them over time as their income increases. 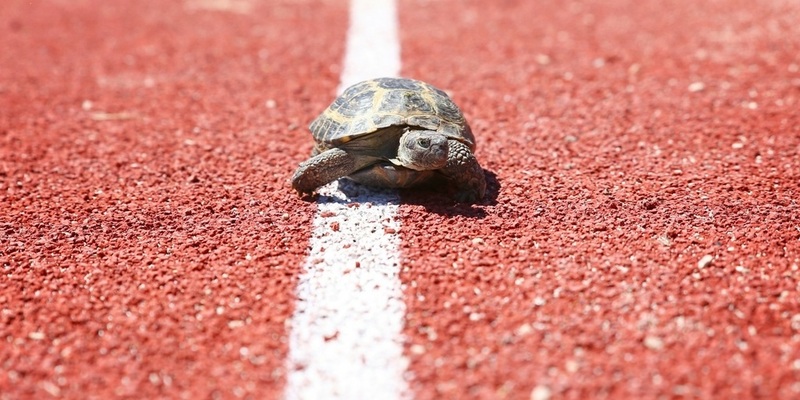 Like the tortoise, saving for retirement and other long-term goals is all about perseverance and consistency, even if it is at a slower pace. It’s easy to let emotions get in the way, and many investors fall prey to the newest investment strategy that claims a higher return on investment. But the fact of the matter is, there is no controlling or predicting the market. I tell my clients that instead of focusing on what they can’t control, it’s helpful to focus on what they can control: the capital they invest. Whether the markets are high or low, consistent contributions can have a powerful long-term effect. Additionally, maintaining a well-diversified portfolio and rebalancing if needed each year can help ensure your portfolio matches the appropriate level of risk you’re willing to take. Adhering to this motto and disciplined strategy can help you avoid the common trap investors fall into: buying high and selling low, and chasing high returns. Too often, financial advisors tell young individuals in their 20s and 30s to keep close to 100% of their portfolio in stocks. The theory is that young investors have decades to ride out volatility and make up for any lost returns. While this may work for some individuals, I’ve had a number of younger clients who don’t feel comfortable taking such risks, even if they have decades to try to make up for losses. Investing entirely in stocks isn’t necessarily the way to go, even if it makes sense on paper. It’s nearly impossible to entirely remove emotions from investing. Too often, I’ve seen investors give up when their portfolio takes a big hit. They lose motivation to keep investing, and they struggle to keep their eyes on the finish line of their long-term goals. Incorporating investments, like bonds, that offer lower returns and lower risk, may help you feel more confident in your portfolio and avoid the rollercoaster of emotions if your portfolio takes a hit during a downturn. Like the tortoise and the hare, fast investments don’t mean you’ll reach the finish line first. While it can be difficult, it’s important to tune out the noise of the media and focus instead on what strategies make sense for your unique situation, risk tolerance, and short and long-term goals. While not as exciting, I believe slow and steady can win the race, and without as many speed bumps along the way. 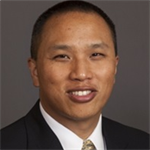 As an independent financial advisor, my mission is to make a meaningful impact on the lives of my clients and the people they love. I help families make informed decisions with their money and pursue a strong financial future. If you’re interested in learning more about balancing your short and long-term goals, I encourage you to reach out to me. Call my office at (949) 221-8105 x 2128, or email me at [email protected].